It has been crazy busy over here at gubernatrix HQ and I apologise for the lack of posts in April. Hopefully you were too busy enjoying the unseasonably warm weather to mind! Last call for adventurous ladies who want to get stronger! With a week to go, there is just one spot left on the Tuesday morning course and one on the Sunday course! So if you have been thinking about it, now is the time to grab your place and get training with a great bunch of like-minded women. Click here for more information and to book your place on this unique course, hosted by yours truly. 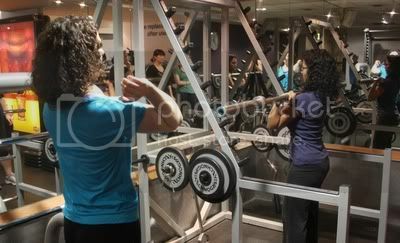 UK Strength and Power Series: discover your inner strongman/woman! Now in its third year, the UK Strength and Power competition is bigger and better than ever. 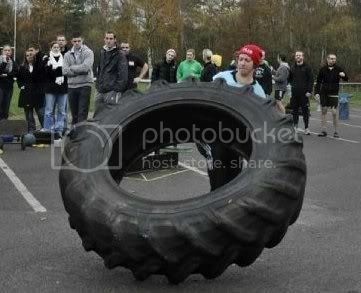 This competition is a fantastic entry into the compelling world of strongman and it is suitable for men and women. I’ve done it two years in a row, and last year I was joined by five other awesome chicks. This year we hope to make the women’s classes even bigger and even more awesome. Need some encouragement? Read Jules’ story here. Jules is around 8 stone but was flippin’ the same tyres as the guys! And men, you’ll need to get your skates on as this event sells out very quickly. If you’ve ever fancied hefting stones or pulling extremely large vehicles, this is the event for you! Click here for more information on Facebook. It’s okay this time, Sally. But, if you skip a month again, we’re going to ground by taking away your strength training gear and force you to work out with the little pink kitten dumbbells! No please, please, not the pink dumbbells!! very well written article. I will be sure to bookmark it and come back to learn more of your helpful info.